Have you listened about charcoal face mask recently? I think we all beauty conscious women know about charcoal. Internet is full of ads which are talking about charcoal face masks. Charcoal has so many health benefits and it has been used against overdoses and poison related cases. It is also an active substance used in teeth whitening products. It has antiviral, anti fungal, antibacterial and detoxifying properties. Charcoal can remove dirt, dust, grease chemical, toxins and bacteria’s from the skin. it can also be an effective remedy to pull out black heads. So you can use charcoal face mask on your face to get a clear, brighter and glowing skin. so let’s know how to make this DIY activated charcoal mask at home. 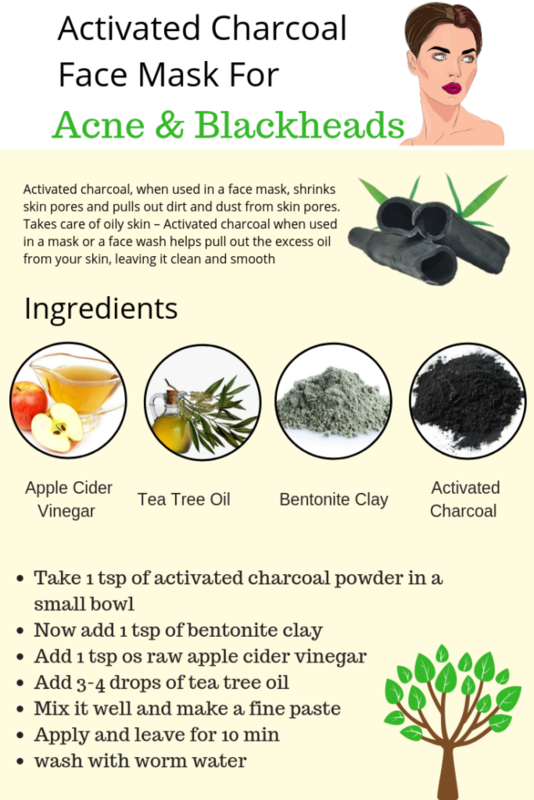 You need just four ingredients to make this effective activated charcoal face mask i.e. activated charcoal powder, bentonite clay, apple cider vinegar and tea tree oil. 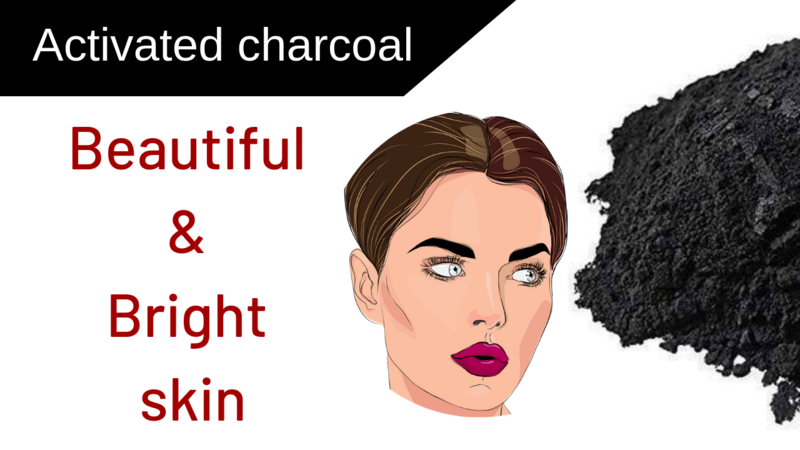 I have already told you about charcoal and its benefits for skin. For this diy charcoal face mask try to use coconut shell activated charcoal. It is a natural pore cleanser from deep inside. It reduces inflammation and redness on skin. It lightens acne marks on your face and heals your skin. It is a natural skin tonner. Apple cider vinegar increases blood circulation hence rejuvenates your skin. it regulate the PH level of your skin and shrink your skin pores. It is very effective for the people who have oily skin. It has antiseptic and astringent properties so it sooths skin irritation fast hence Tea tree oil is an effective remedy for acne, pimples, spots and skin dryness. If you think that it is not easy to make this useful face mask at home then check this video. In this video i did review of alps goodness detoxifying charcoal mask. I think this can be the true alternative to the homemade charcoal face mask. Note: before applying this face mask on your face first test it on the back of your hand for any side effect. Don’t use it daily as it can make your skin dry. Hope you like this homemade activated charcoal face mask, if you know more about the uses of charcoal for ski and hair, please share them with me. Also check my you tube channel Beautiful You for more DIY recipe of beautiful skin and face. Thank you.